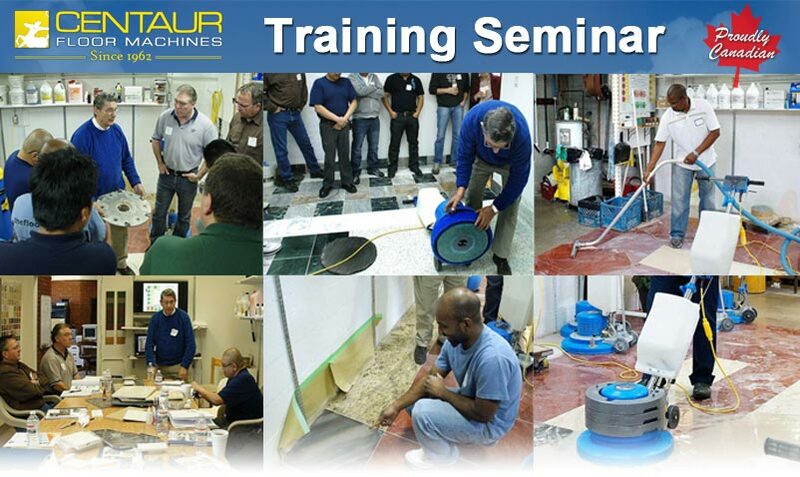 Become a floor cleaning and restoration professional. 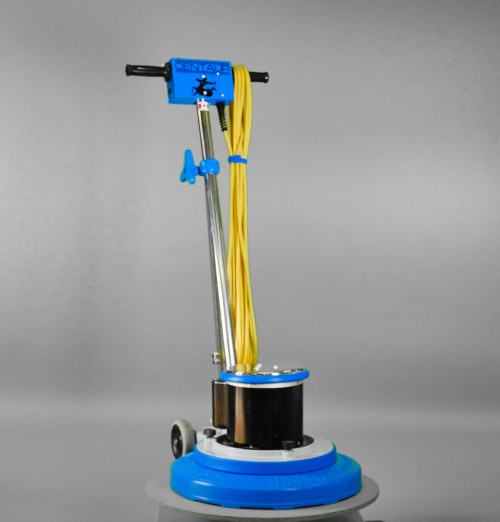 The Centaur Rabbit-1 Floor Polisher is a single-speed 175RPM machine that is a cost effective solution to baseboard cleaning, stripping, buffing & polishing. 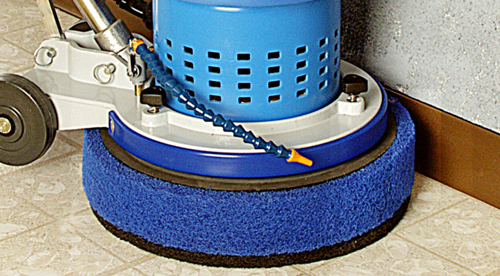 This machine has more benefits than any other floor polisher available and is built with Centaur’s extreme quality and craftsmanship. You will be impressed with the price and even more so with the quality. The one and only baseboard cleaning machine. 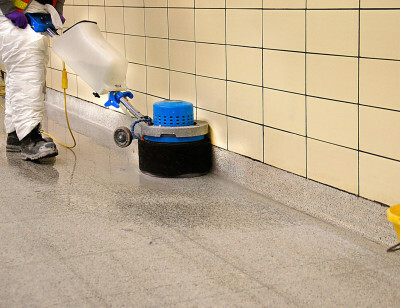 As you know there are millions of miles of dirty baseboards needing to be cleaned and traditional methods of spray-on cleaners and a scraper/brush are a thing of the past. With the Centaur Rabbit-One Baseboard Cleaning Machine, you can now effectively clean baseboards 100 times faster than traditional back-breaking methods. Centaur’s Scrub Jay #3 has been designed to clean, polish and strip: square or cove hard surface baseboards 4 inches in height. We also have the Scrub Jay #4, and extension to the Scrub Jay #3 to provide you with an additional 4 inches in cleaning height. Clean baseboards 100 times faster! After your baseboards have been beautifully cleaned, your Rabbit-One does not need to sit idle. Centaur floor machines has developed the world’s first integrated Splashguard that contains all mess and liquids underneath the machine, making it your best friend for stripping and polishing floors. 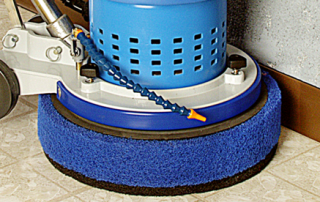 With the Splashguard on, you can utilize 18″ of cleaning or diamond polishing power, and if you ever need to get into tight areas, you can quickly remove the SplashGuard and your machine will downsize to just 13 inches. This is usually left for buying a secondary machine, however this one machine can do both! Why Choose Centaur Floor Machines? Will the machine do a better (faster / more efficient) job of cleaning than another manufacturers machine? How long will the machine keep going for, before it breaks down? Will the machine give you better value compared to another make and model? Those are really the only three criteria worth considering if you’re a prudent professional cleaner. There is… ONLY ONE TRUSTED manufacturer that all prudent professional cleaners eventually turn to. Here are the reasons prudent & professional cleaners end up choosing Centaur machines. As you probably know, the most important component in any commercial cleaning machine is the motor. So guess what Centaur does in the case of its swing machines? Centaur employs expert machinists (with years of experience) to take apart and REBUILD the motors… before assembling the motor into a machine and releasing it for purchase. Why does Centaur undertake this extra, labor intensive process you ask? Because they fuss over everything that goes into their machines. Just like a high-performance car getting a souped-up engine from a NASCAR team – Centaur floor machines get a souped-up motor BEFORE they are allowed to be sold. Every Centaur machine is entirely HAND-BUILT. All Centaur machines are also made from the highest-quality (longest-lasting) components. Centaur takes the meticulous “Rolls-Royce” approach to manufacturing and assembly. Where every component of each machine is tested individually as the machine is built. So what’s the result of this hand-built craftsman’s approach? Well, a Centaur floor machine will typically still be working 30 to 45 years after purchase and a Centaur vacuum will typically still be working 15 to 25 years after purchase. (Funny true story: A guy recently phoned into Centaur to say the vacuum his mother had bought when he was 16 was beginning to “growl” and sound a little odd. And could he buy a new one. The Centaur representative said sure and asked him how long ago the machine was purchased. The caller said, well I’m 60 now, so that would have been 44 years ago). 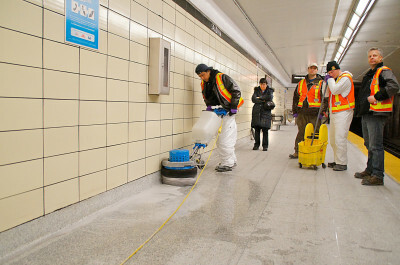 Contrast that “working life span” with other commercial cleaning machines. While other vacuum cleaners will only last you between 2 to 5 years before quitting on you. Centaur floor machines last 30 – 45 years. Other manufacturers floor machines last around 5 – 10 years. What’s the overall benefit of Centaur machines lasting 3 to 9 TIMES LONGER than other manufacturers machines? A Centaur machine will have a higher residual / resale value — highest among the competition (Centaur machines depreciate the least). ONE Centaur machine can typically do the “jobs” of 2 to 3 machines from another manufacturer. So yes, Centaur machines ARE priced higher than other manufacturer machines, but their VALUE is higher, and the overall real “cost” to you is lower. The only “maintenance” required on a Centaur machine is to give it a clean over from time-to-time. Well, just about every prudent professional cleaner eventually gravitates to using a Centaur machine. And they nearly always wish they’d done so sooner. Why not get the ball rolling today… and look into all the advantages and “life-time cost savings” a Centaur machine gives you? I’m confident in saying that any cleaner with a Centaur machine will tell you it will be one of, if not the, best investment you’ll ever make in professional cleaning.